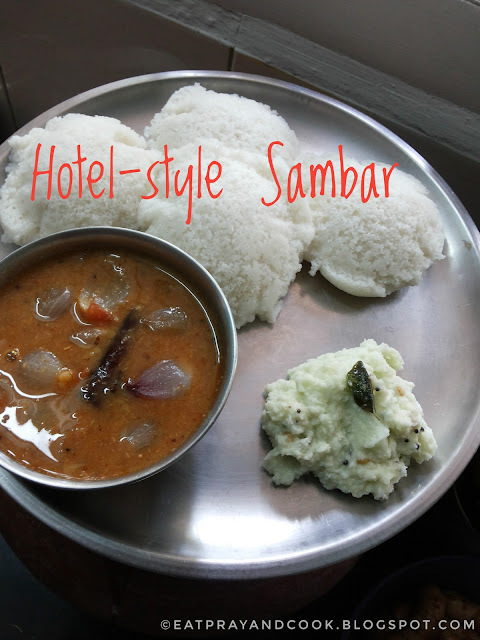 This hotel style tiffin sambar is very easy and tasty and goes very well with idli, dosai or any tiffin items. this sambar needs a little masala paste to be prepared and after that the sambar is a super hit. when i make this sambar for the breakfast for idli, it is a idli-marathon that whole day. 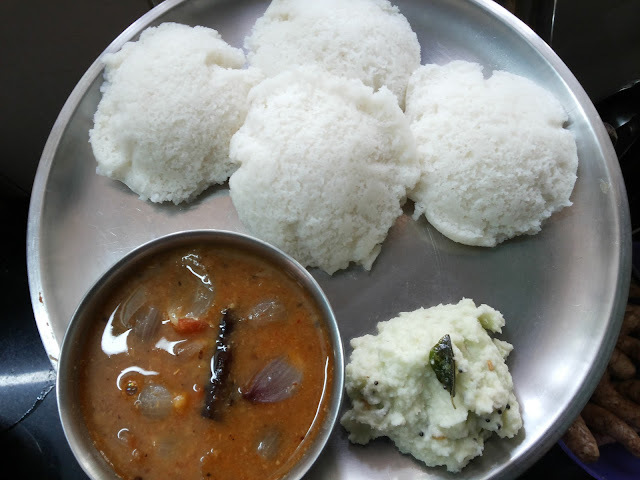 my daughter prefers idli-sambar for all the three meals. it is easy for me too :). If we pour this sambar on idli it becomes sambar-idli, with vadai it becomes sambar-vadai and this is awesome with dosai too. The masala paste can be made fresh in the morning for breakfast or even the previous day night. sambar onions or shallots are too good for this sambar. 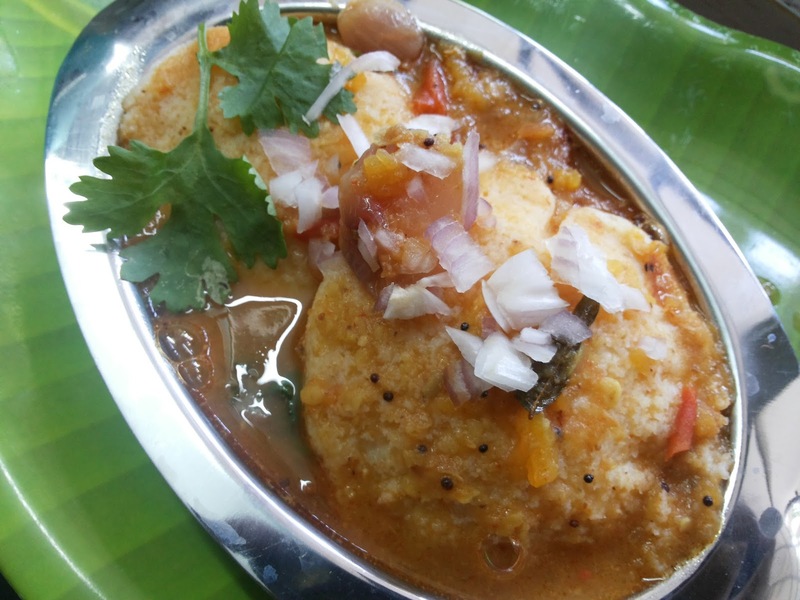 you can make this sambar with just vegetables and without onion tomato. If i had plans to make this sambar on a working day, i make the dhal and this masala paste the previous day evening itself and store it in fridge. Click the link for recipes of Breakfast and its side dishes. First, heat 2 teaspoon of oil in a pan and roast the ingredients given under "ingredients for masala". once roasted, cool them and then grind to a paste with little water. the masala paste is ready. Cook the thoor dhal (with little turmeric powder, pinch of asafoetida and few drops of castor oil or any cooking oil) and keep ready. Heat some oil in a container and add the sambar onions and saute. Now add the cooked and mashed dhal, and the masala paste. Add the tamarind extract and add more water to your required consistency. Bring it to a boil. add the jaggery. Let it boil for 10 more minutes till all the flavours of the spices mixes up well. Now when the sambar is ready, heat some oil in the tempering pan and do the tempering with the ingredients under tempering ingredient list. Carefully pour it over the boiling sambar. Give a lavish sprinkle of coriander leaves.. by now you must be mesmerised with the aroma of samabr boiling. And wait ! that is not final.. drizzle a spoon of aromatic ghee on the boiling sambar just before you turn off the heat under sambar. There you go.. the legendary.. flavoursome.. sambar for your favourite idli / dosai is ready. The jaggery gives a subtle sweetness which mellows all the flavours of the spices beautifully. 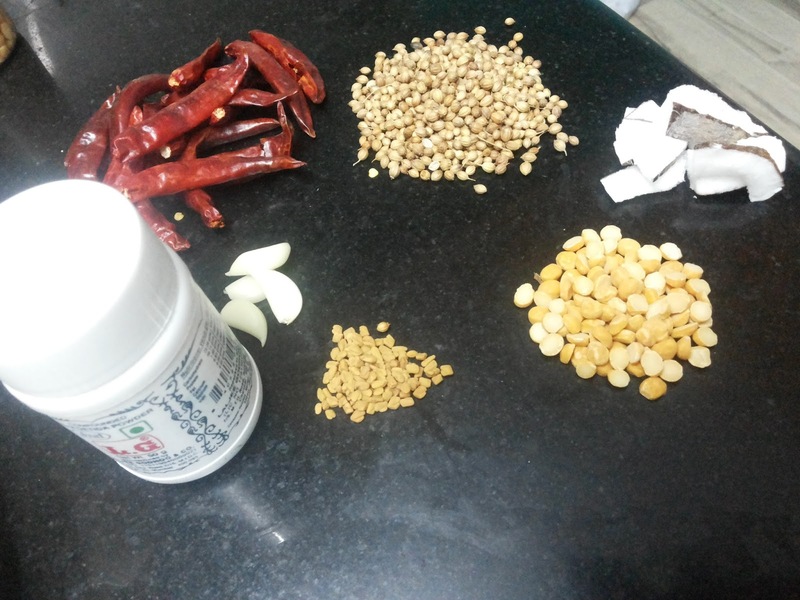 Just pour it on idli to make it sambar-ildi. or pour it on medhu-vadai and sprinkle chopped raw onions and coriander leaves to make it an excellent evening time snack - sambar-vadai. You can add more vegetables and skip the jaggery if you want to serve it with rice. Vaazhaithandu Poriyal / Plantain Stem Stirfry. Pineapple Minty-Lemonade - Beat the Heat ! Paneer-Peas Pulav - Simple and Sapid.